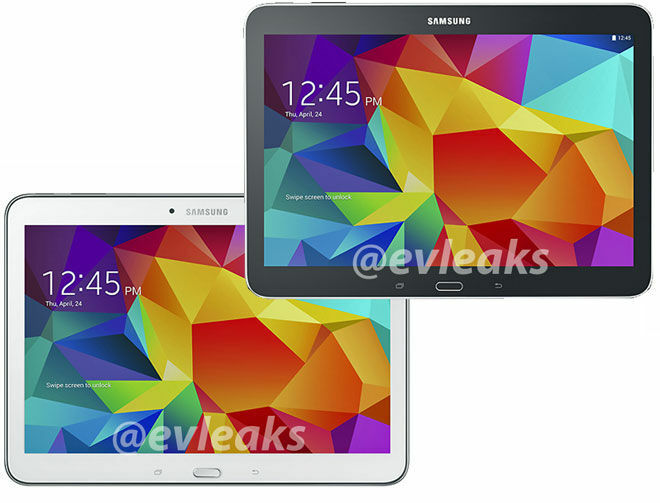 Images of the latest Samsung Galaxy Tab 4 10.1 inch have been leaked by the famous Twitter tipster @evleaks. According to reports the next generation of the galaxy tab is expected to be launched on April 24 along with the Galaxy Tab 4 7.0. According to rumors the Samsung Galaxy 4.0 series will be released in three versions- a 7 inch, an 8 inch and a 10.1 inch model. The Galaxy Tab 4.0 10.1 will be arriving with a WXGA resolution, a 1.2 GHz quad-core CPU with 1.5GB of RAM and a 6,800mAh battery to juice it up. The tablet is expected to run on the latest Android 4.4 KitKat update out of the box. The rumors also suggest an 8MP auto-focus rear camera on the new tablet and a 1.3 MP front camera for video calling. The devices are expected to launched in WiFi and WiFi 3G variants for each model. The rumored Tab 4 10.1 weighs 320 grams, which is substantially lighter than its predecessor which was 510 grams. Samsung has officially launched the Galaxy Tab 3 Neo in India for Rs 16,750. The Samsung Galaxy Tab 3 Neo has a 7-inch display with 600 x 1024 pixels resolution. The tablet runs Android 4.2 Jelly Bean OS and has a 1.2GHz dual-core processor. It packs a 2MP rear snapper. The tablet has 8 GB ROM, expandable via microSD card slot. It has a 3600 mAh battery that according to the company listing delivers 8 hours of video playback. Connectivity options included in the tablet are Wi-Fi, Bluetooth and GPS Glonass. 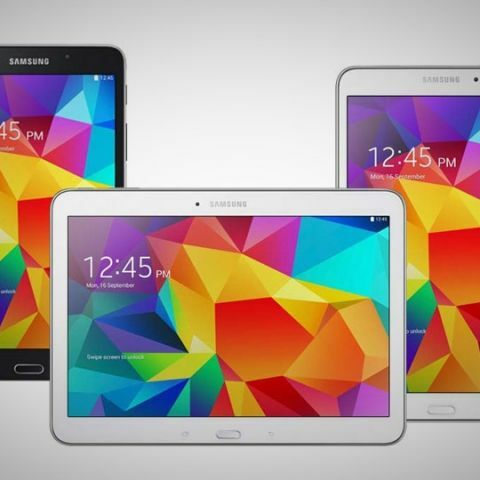 The tablet will also come preloaded with ‘Club Samsung’ as well as a “Discovery” app.